A building is nothing without windows. Providing natural light, architectural interest and a view to the outdoors, windows are an essential part of every building. Unfortunately, the stunning windows that showcase a home or office sometimes prove to be exceptionally challenging to access and keep clean. Tall ladders, buckets filled with water and cleaning supplies, and weather all conspire to make even the most intrepid homeowner shy away from regular window cleaning service, especially when the windows are very high up. Unfortunately, if not regularly cleaned, windows build up with months and even years of dirt and grime until eventually even the most beautiful view is obscured. When you don’t fancy climbing ladders but would still like to enjoy sparkling clean windows, turn to the professionals at Your Lambeth Cleaners. Finest Cleaners offers superior window cleaning service Lambeth to keep your windows shiny and clear, any time of the year. No matter where your windows are located, our professional window cleaners have the expertise and training to clean your windows efficiently and safely. 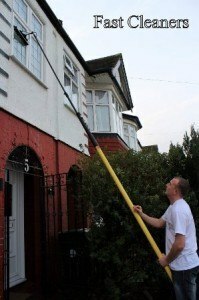 We utilize the latest in state-of-the-art technology to clean even the most hard-to-reach windows. Let our trained professionals put their training and experience to work. Let them handle the tough work, so that you can simply enjoy the view. Hire our cleaning services at affordable cleaning prices now on 020 3912 1186.